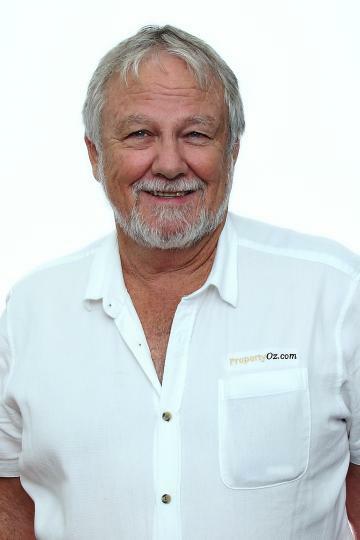 John has extensive experience within the building and real estate industries. Having been an integral part of the Bushland Beach development and land sales, to Sales and Property Management within his own agency, John is a Principal with experience in all facets of our business. Lifestyle or Investment Returns, this Unit Offers Both. Unit features: Second floor unit with private patio. Freshly painted internally. New blinds and floors throughout. Fully air conditioned. Resort style pool in complex. Private balcony overlooking bushland. Very accommodating BC fees ! URGENT - Need this gone by Easter ! Purchase below replacement cost. Motivated vendor wants this under contract by Easter. Owners will consider all reasonable offers presented !! Fully Air conditioned. 4 bedrooms, main includes walk-in robe. . Set on 416m2 allotment with fully fenced yard. Energy Efficient Home - Contract crashed, Don't miss out! Location doesn’t get much better than Willow Gardens if you’re looking for your first home or even the perfect investment property. This property is a fantastic affordable first home for a young family . A low maintenance block of land for those who are not wishing to have a lot of yard maintenance. Energy efficient home with 2.4kw Solar system and gas HWS. This 3 bedroom family home has everything to offer. Put in the Effort - Reap the reward! Put in the Effort - Reap the reward! There is some work to be done but the end result will reap you rewards. This home has steel frame structure, to base your makeover on and breathe new life into this home. Situated on 600m2 in quiet pocket of Kirwan, close to all amenities, makes this home a great renovation project. What a great starter if you are looking to enjoy a semi-rural lifestyle and be only 10 minutes to Willows Shopping Precinct, Restaurants and all amenities. This home is set on 5477m2 and features a 12m x 8m powered shed, fully fenced horse enclosure and offers endless potential!!! The potential to extend the home, screen the patio, install an in-ground pool or transform the outdoor living spaces is limited only by your imagination. Stop Renting, Great First Home ! This neat home in a quiet pocket of Riverside Gardens offers easy access to JCU, Hospital and Laverack Barracks. Set on an easy to maintain 429m2 allotment, with no rear neighbours, peaceful lifestyle is yours to enjoy. Must be Sold, Vendor will meet the market ! Where can you buy a house for $35,000 ? Right here. At this price, house comes at $35,000. First Home Buyers, look at this one. This tidy three bedroom home offers you the opportunity to create a family home for your future family. Treat it like a canvas, you only need to add the paint and your imagination. Starting Features. 3 bedrooms all carpeted and with built in robes. 2 bedrooms air conditioned. Kitchen to be left to your imagination. Functional bathroom able to be brought up to modern décor. Awesome Playhouse for the kids. Price reduction to meet the market, so if you are looking for a home or investment that will leave you surprised , then look no further. Complex of large townhouses includes a pool, while also being close to beaches, shops, bus routes and schools, is offering you the chance to join in on a lifestyle that is worth boasting about. Great location, Investment returns are the best! This modern four bedroom family home MUST be sold, so why not make it yours? In a great location leaves you wanting for nothing. Great tenants in place, awesome returns, desirable location, this can be yours now. Arrange a private viewing and present your offer, it is that simple. Fantastic family home in a popular pocket of Burdell, gateway to the Northern Beaches. The home has been tastefully decorated with neutral tones, ceramic tiles and carpets to the bedrooms. This home needs a new family, and is pet friendly. This 4 bedroom home is located in a quiet Street only 5 minutes from Willows Shopping Centre. Fully air-conditioned with heaps of storage options. Freshly painted throughout with neutral colours. URGENT This home needs a new family. PERFECT - FEATURES, LOCATION AND PRICE! This family home offers so much. And you are 50m from Wellington Park and short walk to Kokoda pool. Features include 4 bedrooms, 2 bathrooms, large open kitchen and family room, huge walk-in to master bedroom, built-ins to all other bedrooms. Newly renovated unit has room available to let. Comfortable queen size bed with air conditioning and built in wardrobe included. FULLY FURNISHED UNIT AVAILABLE NOW. This small one bedroom, ground floor unit is available now. Unit includes lounge chairs, TV, dining table with 2 x chairs, fridge, microwave, oven, kettle, toaster, cutlery and crockery, Queen bed, no linen or pillows, robe and set drawers and washing machine.